Colombia’s national health institute (INS) rang the alarm on Sunday after a sudden spike in child deaths due to starvation. Blu Radio reported on an INS report that reportedly said that 11 kids under five years old died. The institute reportedly counted 37 probable cases of death due to malnutrition throughout the country so far this year. La Guajira, a poverty-stricken province in the north of the country, saw the most deaths of children under five from malnutrition. Furthermore, the institute says La Guajira experienced a spike in this type of death in 2018 compared to the average reported in the region from 2014 to 2017. Human Rights Watch Americas director Jose Vivanco asked the Organisation for Economic Co-operation and Development (OECD) last year to reconsider Colombia’s admission because of the government’s neglect to address ongoing child mortality. “The OECD must examine, among others, Colombia’s social policies, including the serious shortcomings suffered by the indigenous people in La Guajira and also assess whether the authorities are taking the necessary measures,” Vivanco told weekly Semana last year. 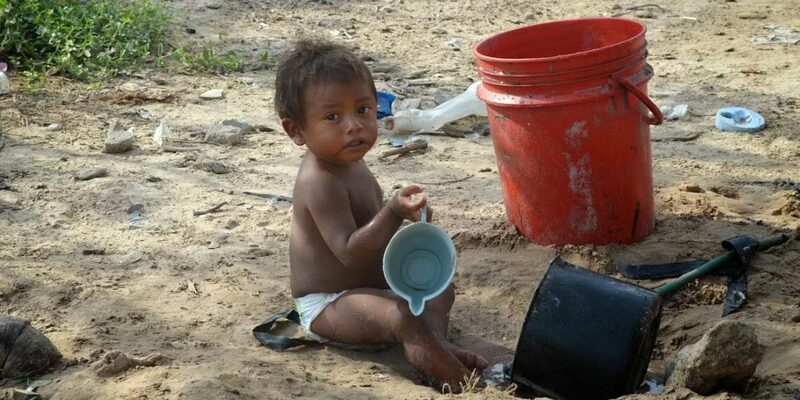 The INS said last month that La Guajira, Arauca, Choco, Cesar, Magdalena, Boyaca, and Antioquia contained the most cases of child deaths from malnutrition, Blue Radio reported. Arauca and La Guajira, which share borders with Venezuela, are said to have the most deaths this year. Six of the 37 deaths of minors across Colombia were attributed to foreigners, mainly Venezuelan migrants. More than 770 children died from preventable diseases in Colombia last year, according to the INS. At least 192 of these deaths were caused by malnutrition.